The following is information Hope and Healing International requires from the Executor(s) in order to demonstrate to third-parties, such as its external auditor, that the full wishes of the deceased have been carried out according to their Last Will and Testament. A copy of the pertinent portion of the Will where Hope and Healing International is listed to receive the specific bequest. Hope and Healing International will ask for the request to vary the Will to be submitted by the Executor(s) in writing along with a copy of any background documentation that the Executor(s) may have. Hope and Healing International will forward the estate file to Hope and Healing International’s legal counsel who will review the file and advise Hope and Healing International on next steps. Hope and Healing International’s lawyer will communicate either directly to the Executor(s) or to the legal counsel for the estate. Ashley Patton in the operating room after watching a glaucoma and cataract surgery. 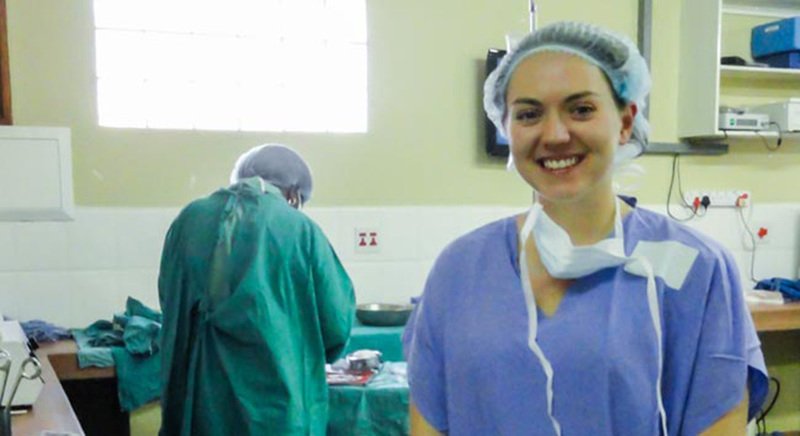 Ashley Patton spent nearly seven months serving as a volunteer Administrator at a Hope and Healing International partner eye hospital in Swaziland, the Good Shepherd Hospital Eye Clinic (GSHEC). During her time there, Ashley worked to organize files and keep operations moving. She also took part in a number of cataract case finding trips. These trips involved going out into the most rural locations in Swaziland to find people living with cataracts. Read Ashley’s full story about her trip to Swaziland and how she’s seen the kind of impact a gift in your Will can have in the lives of people who need it most.